The Chinese diet is known for instructions to eat food with specific properties. Flavour and movement influence the food chosen in this diet. The energy of food according to the Chinese diet will produce sensations of hot or cold. There are five types of energy, also called natures; neutral, cool, cold, warm and hot. Keep in mind these energies are referring to the effect on the body, not the kind of food eaten. A good example to remember is when you drink a hot tea. Although the tea is hot to taste, it will produce cool energy in the body as its heat dissolves within the body and is therefore classified as a cool drink. Cool foods include; apple, spinach and peppermint. Some cold foods include Soya sauce, salt and water chestnuts. In the middle of the spectrum, representing the balanced yin and yang; are neutral foods like corn, potato and cheese. Warm foods include peaches, walnuts and goats milk, while the hot foods include chilli pepper and mustard seed. It is helpful to know about the energies of food because specific energies will affect our health in different ways. When a person suffering with skin irritations sees an increase of symptoms when exposed to heat, it’s an indication this person should eat foods with a cold or cool energy to feel better. There are five flavours of food according to the Chinese Medicine Diet. They are known as pungent, sweet, sour, bitter and salty. Each flavour affects two organs. Pungent flavours rule the body’s lungs and large intestine, sweet flavours watches over the stomach and spleen, sour controls the liver and gall bladder, bitter rules the heart and small intestine and the salty flavour rules the kidney and bladder. Pungent foods will affect the lungs and large intestine by giving a boost of air circulation and an increase of appetite. Sweet foods will affect the stomach and spleen by slowing down acute reactions and balancing the toxic effects of the other foods eaten while giving the body proper nourishment. The Traditional Chinese diet follows the movement of their foods as certain types of movements will force food different directions within the body. The four specific directions are sinking, lowering, floating and lifting. 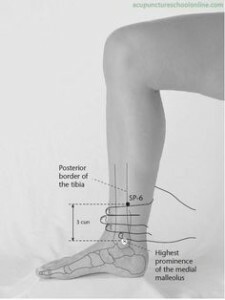 Imagine arrows pointing in these directions throughout the body. With a sinking movement, the direction of the food goes from the outside towards the inside allowing for bowel movements to slow down and provide relief to abdominals that are distended. Vinegar is a good example of a food that will provide such action. With a lifting movement, food will move from the lower region to the upper region. These upward movements will stop diarrhea and hold the internal organs in place where they belong. This will prevent organs from sinking or prolapsing. Wine is a good example of a food that provides such properties. A topic of great interest and research is now in the field of addictions and withdrawals. This encompasses addictions to narcotics, nicotine, alcohol, and to aid in the recovery of withdrawal symptoms. A very effective and standardized treatment using acupuncture has been developed to combat these addictions, which has been termed the NADA protocol, as part of the National Acupuncture Detoxification Association. This system was developed in the mid-1970s by Dr. Michael Smith, MD, who while practicing medicine at the Lincoln Recovery Center in New York, altered a system of auricular acupuncture which created an alternative to methadone. The NADA protocol and auricular acupuncture are now currently being taught to nurses in mental health facilities (such as CAMH, the Centre for Addiction and Mental Health) and are being used abroad at relief centres of war torn countries. The National Acupuncture Detoxification Association, a not-for-profit and advocacy organization was created from the discovery and encourages a community of wellness through this standardized acupuncture protocol. Not only helpful in healing drug addictions, but also healing behavioural health issues such as mental health, disaster and emotional traumas. With a typical session using the NADA Protocol, both ears of the patient are needled at once, for 30 to 45 minutes. Given to patients in a group setting, it helps develop a level of support among patients and dissolves feelings of denial and isolation. Some of the benefits that are known from using the NADA Protocol include; patients feeling optimistic in their path to recovery, a reduction in cravings and feelings of anxiousness, less sleep disturbances and need for pharmaceutical medications. Did you know there’s such a thing as Ear Acupuncture? 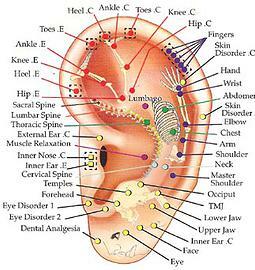 Auricular acupuncture (or Ear Acupuncture) works by stimulating acupuncture points on the outer surface of the ear, and encourages healing of the body’s allergy problems and addictions by using a theory of micro systems of the body. A Canadian neuroscientist Dr. Wilder Penfield made the fascinating discovery that maps of the body are found on the surface of the brain and these maps correspond and appear on the human body. Acupuncture’s roots run deep over 2,500 years ago in China, but this speciality of acupuncture was founded in France in the 1950’s by a neurologist named Dr. Frank Bahr. As described above, the map on the ear is seen as the form of a fetus appearing upside down. Going back to the time that a human is developing in the womb, the ear is the first organ to grow into its complete size, and is fully functional following just over four months after being conceived. When an auricular acupuncture point on the ear is “active” it expresses more sensitivity when stimulated and produces a higher level of electrical response. This means there is disease in the correlating body tissue, making this form of acupuncture very useful in assessing ailments. Strong indicators of your health are found in the ear. The smoothness or rigidity of texture, colours seen on the ear, and skin changes all indicate your healthiness. The following ailments are treated though the process of auricular acupuncture : migraines, insomnia, depression, addictions, indigestion, autonomic symptoms, a variety of conditions of pain and inflammation. 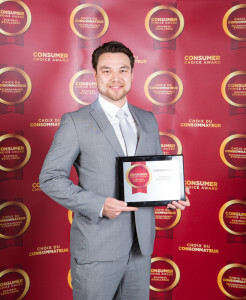 We are the 2015 Consumer Choice Award Winners! From the bottom of my heart, thank you for voting for Avenue Acupuncture as the proud 2015 winner for top Acupuncture clinic in Toronto. It is a true honour to be selected for this award and is a testament that great service and amazing results will go noticed by the people. Thank you so much to everyone for putting your trust in our hands and letting us work with your most valuable asset, your health. It is always so rewarding to see the positive changes in people’s lives, and exciting to be a part of it. Receiving this award tells me that we are doing something right and motivates us to continue earning your confidence. The Consumer Choice Award was established in 1987 with the sole purpose of recognizing business excellence. The winners are identified through a rigorous four-step ranking process and are chosen by you, the consumers. Congratulations to all other winners of this esteemed award. Most of us have heard about the immune system and its necessity in the prevention of sickness as well as fighting off viruses and bacteria, but what is the immune system exactly? It is not an organ or pathway but rather a collection of various cells which act to protect the body from foreign invaders such as microbes, bacteria, particles, and toxic compounds. It is composed of two major categories of cells which are the innate immune reponse (phagocytes, NK cells, granulocytes, and physical barriers) and the adaptive immune response (T and B lymphocytes, which are produced in the bone marrow and lymphatic system). The innate immune response is the first line of defense and is a non-specific defense mechanism, which means that it does not necessarily recognize the specific foreign invader, but will just recognize that it is foreign. Once recognized, the innate response will kill or remove the invader through different mechanisms. If the invader is not removed through this mechanism, the stronger immune system (adaptive) will act to remove it by activating the T and B lymphocytes. Once activated, these cells will work to recognize the specific binding sites of the invader to produce antibodies which will disarm the invader. The adaptive immune response is often called the immunological memory, as once the body has created the necessary antibodies to fight an invader, it can easily do so again if the body is attacked by the same strain. This is also the reasoning behind vaccinations. How Do You Boost The Immune System? 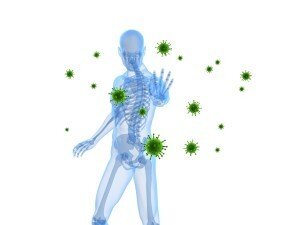 Boosting the immune system refers to allowing the immune system cells to readily do their job. If the body is perfectly healthy and functioning, this will be much easier. If the body is taxed by stresses, illnesses, or malnutrition, it will be harder. Thus, in Chinese medicine, the focus is not always on strengthening the immune system specifically, but rather the whole body to allow the immune system to function optimally. Since the immune system resides in the blood and lymphatic system, proper circulation of these systems is essential to good health and must be promoted. How does Traditional Chinese Medicine Boost the Immune System? First and foremost, proper diet and exercise need to be in place in order to obtain any benefits. Having successfully accomplished that, here are some amazing herbs and acupuncture/acupressure points to boost the entire body and immune system. However, the key to gaining results through the herbs is by finding the proper herb(s) to match your body or constitution. The herbs are typically not generically use but must be prescribed according to the individual. Below we will discuss which herbs should be used according to your body, but is not a substitute for seeing a Traditional Chinese Medicine Practitioner, who will properly address any weakened organs which may contribute to lowered immunity. Astragalus Root is one of the best herbs to bolster the ability of your immune system to function. It works by increasing the number of active immune cells, as well as their activity. However, it primarily acts to fortify the already existing immune system and not to attack the pathogenic agents. Therefore it should only be taken while healthy and not during a cold or flu. Some of the other amazing health benefits of astragalus are its powerful anti-inflammatory effects, the ability to increase heart function and prevent heart disease, increase digestive function, improve lung function, aids the adrenals, and opens blood vessels to increase circulation. This herb would be best used for patients who have slightly weaker bodies and get sick easily, or have digestive/breathing complaints. There are actually over 30 different species of Ginseng, and the Asian Ginseng is the most widely known. However, do not confuse the other species (American, Siberian, Pseudoginseng) as they will yield different effects. Asian Ginseng is another great immune booster which works by increasing the effect of all the cells in the immune system, both innate and adapted. Many athletes also use Ginseng due to its effect of boosting endurance and strength, as well as the ability to boost mental capacity and alertness. Asian Ginseng also has many anti-oxidants to increase heart health and diabetes. Also, it’s powerful anti-inflammatory effect helps with many inflammatory conditions. Asian Ginseng is not to be used in healthy individuals for an extended length of time, as it can cause the blood vessels to weaken spontaneous bleeding to happen. Patients who should be taking Asian Ginseng have more cold-type bodies, possibly with cold hands and feet easily, have a weaker heart, and suffer from fatigue. The other widely used species of ginseng is the American form. Similar to the Asian form, it has a strong action of boosting the immune system by increasing the effects of all of the immune cells, both innate and adapted. Other benefits of American Ginseng are its ability to inhibit tumour growth as an anti-cancer agent, as an aid in sports enhancement, and its effect in treating diabetes. Similar to the Asian version, it is not for prolonged use. Patients suitable for using American Ginseng may have dry mouth/throat, thirsty easily, and feel weak. I Just Had Acupuncture. What Should I Expect Afterwards? Your acupuncture session is a very specific procedure which stimulates the body’s nervous system and blood flow to ultimately return your body to a state of proper functioning. After acupuncture begins to correct your blockages, hundreds of bodily functions and activities are affected and your body begins to re-correct and rebuild itself. After a session you may experience a feeling of deepening peace and relaxation, almost a euphoria. This relaxed feeling may last for the rest of the day or week and may lead to deep, refreshing sleep. 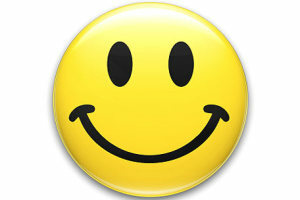 Some feel very energetic and do all their chores or business that day with a light, happy feeling. Others may feel like they need to take a nap. Most patients find their symptoms begin to lessen after the first visit. There are also some people who may need ongoing treatment in order to begin to see a decline in symptoms. Some are in such good general health that they may feel no different. That does not necessarily mean that they are not benefiting from their acupuncture session, it just means that they’re not feeling any external response. Healing is still happening within. Some may feel a “sore” or “heavy” feeling in the areas the needles are inserted. It is not necessarily a negative thing, as that usually indicates the needles are still producing a therapeutic effect on the body! This sensation may last a few hours or the rest of the day. In rare cases, a person may experience a headache or a slight increase in symptoms. You may be experiencing a detoxification or cleansing of your body after the acupuncture. When poisons leave the system, there may be discomfort such as headache, sniffles, a slight fever, strong feeling of drowsiness, lethargy or similar reactions. The muscles are realigning after the acupuncture session. Often, these muscles haven’t worked properly in years and may be in a weakened or altered state. Now that the muscles are working again they may become sore. This condition is temporary and will soon disappear after the muscles have strengthened themselves. Increased blood flow and endorphine release may give you an experience of being euphoric or “high.” This may also occur as you experience a sudden release from long-standing stress fixations in your body. However, with all the interest in what is consciously perceived, please remember that the true benefits of the acupuncture are usually found below the level of consciousness. It is when the blood system and nervous system are stimulated and properly communicating to the heart, lungs, joints, sexual organs, skin, eyes, ears, and the brain itself that the true benefits of acupuncture are experienced. The other benefits of acupuncture care are the preventive benefits: better night’s sleep, more energy, and better whole body functioning. One of the most common complaints for people to seek acupuncture care is for headaches. It can be the main symptom, or can accompany other conditions which cause the headache. Most people will experience a headache at some point, and it can affect people of any age or gender. Tension headaches: one of the most common headaches, this pain can be felt daily. It can be described as tight or stiff and can be on either side of the head. Tension headaches are the result of muscle contractions in the head, usually as a result of stress, eye strain, lack of sleep, or dehydration. Migraines: can be very severe and last for hours or days and can be associated with nausea, noise/light/odour sensitivity, or stomach pain. The pain is usually felt on one or either side of the head. It can be described as pounding or throbbing pain. While the cause of migraines is not fully understood, a popular theory is that it is a result of changing brain chemistry. Another cause could be the rebounding shift of action from the sympathetic system (the fight or flight state) to the parasympathetic system (the resting state). This shift will cause excessive blood flow to the head which induces heavy pressure upon each heart beat. Cluster headaches: are less common but can be quite severe, with a burning characteristic. This pain is usually felt behind one or both eyes. It occurs when the trigeminal nerve (main facial nerve) is activated, which then leads to the pain felt in the eye. Research has shown cluster headaches to be generated by the hypothalamus. Sinus headaches: are felt as a deep and constant pain in the forehead, bridge of nose, and cheekbones. Other associated symptoms may be sinus-like symptoms such as nasal discharge, feeling of fullness in the head, swelling. These headaches can also come with the changing of the weather or after a cold. Sinus headaches are caused when bacteria invade the nasal sinuses. Cervicogenic headaches: are headaches which originate from a pain in the neck or spine, which then transfers to the head. These are common in patients with whiplash, chronic posture issues, or neck/shoulder problems. How does acupuncture help treat headaches and migraines? Traditional Chinese Medicine and acupuncture have had a long history in the treatment of headaches and migraines for all of the above categories. Many patients have found long-term relief through acupuncture that was not found through medication, most of which only offered only temporary relief. Some headaches are actually caused by medications and leads to a “rebound” headache. The advantage of acupuncture over medication is that is does not have any associated side effects and does virtually no harm. Treatment of the headache or migraine is also focused on prevention of future attacks rather than reducing the pain temporarily. By inserting fine needles into specific acupuncture points (acupoints) of the body, a healing response is triggered which will help to restore normal function to the head. The treatment varies largely on the type of headache experienced and which factors cause it to manifest. Typically the needles are inserted into the hands, feet, and head. The needling will stimulate the peripheral nervous system to regulate the action of the sympathetic and parasympathetic system. Essentially, it will bring balance to the body. Needling also releases endorphins (a natural painkiller) and reduces Substance P (a pain transmitter). Ropper AH, Samuels MA. Chapter 10. Headache and Other Craniofacial Pains. In: Ropper AH, Samuels MA, eds.Adams and Victor’s Principles of Neurology. 9th ed. New York: McGraw-Hill; 2009. www.accessmedicine.com/. Accessed December 27, 2011. Goadsby PJ, RaskinNH. Chapter 14. Headache. In: Longo DL, Fauci AS, Kasper DL, Hauser SL, Jameson JL, Loscalzo J, eds. Harrison’s Principles of Internal Medicine. 18th ed. New York: McGraw-Hill; 2012.www.accessmedicine.com/. Accessed December 27, 2011. Why use acupuncture for chronic lower back pain? Lower back pain is one of the most common reasons people seek acupuncture care. It is one of the most common ailments and will affect almost everyone at some point in their lives. While most cases of lower back pain will resolve within weeks to months, research shows that up to 40% of cases will become chronic (1). Acupuncture treatment for lower back pain has proven to be one of the most effective methods for long term relief. In 2007, a study was conducted with 1162 patients afflicted with chronic lower back pain to determine the effectiveness of acupuncture (2). These patients were split into 3 groups; acupuncture, sham (fake) acupuncture, and conventional therapy (drugs, exercise, physical therapy). After 10 sessions, the response rate was 47.6% improvement in acupuncture, 44.2% improvement in sham acupuncture, and 27.4% improvement in conventional therapy. While there was little difference between real and sham acupuncture, what is amazing is that either one was almost twice as effective as conventional therapy. While the term “back pain” is usually lumped together as one, there are a variety of reasons for why a person is experiencing chronic pain. Some of the more common causes are muscle strain, slipped/herniated disc, arthritis, fibromyalgia, or even spinal stenosis. The acupuncture protocol being administered will vary depending on what the root cause of the problem is, thus that must be determined first. In my experience, the cases of lower back pain which are treated most effectively are due to muscle strains, arthritis, and/or fibromyalgia. This is not limited to just the lower back, but rather the entire body as well, whether it is (for example) a strain of the neck, or arthritis in the hands. How is Acupuncture a natural painkiller? The effectiveness of acupuncture in the treatment of lower back pain can be explained by a few theories. First, acupuncture is effective at releasing opioids, which are the body’s own, naturally produced, painkillers. Second, acupuncture stimulates the nervous system to increase the pain threshold level. Thus, the level of pain received by the brain is decreased. 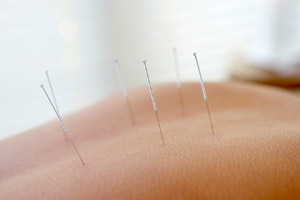 Third, acupuncture is very effective at promoting blood flow to specific areas of the body. By doing this, it can bring the body’s painkillers (opioids) to the area of injury or pain. Also, by promoting blood flow it can break up and stagnation of blood at the site which may be causing further pain. 1. Cassidy, JD, et al (2005). Incidence and course of low back pain episodes in the general population. Spine, 30 (24): 2817-2823. 2. Haake, M, et al (2007) German Acupuncture Trials (GERAC) for chronic low back pain: randomized, multicenter, blinded, parallel-group trial with 3 groups. Archives of Internal Medicine, 167 (19): 2072. Through Chinese Pulse Diagnosis we isolate the true cause. What is a Chinese Pulse Diagnosis? 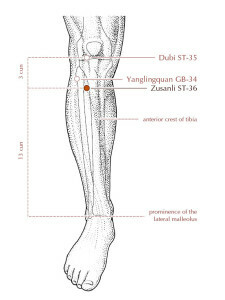 Chinese Pulse Diagnosis has been used for thousands of years as one of the primary diagnostic tools in Chinese Medicine. It was heavily relied on before the use of x-rays and ultrasounds, and still continues to be paramount in the recognition of disease patterns for treatment with Chinese medicine. To master this skill takes many hours of patience, study, and practice, and we are proud to have a diligent understanding of this technique at Avenue Acupuncture. Most people are probably used to getting their pulse checked by their family doctor to determine whether you have a normal rate (between 60-90 beats per minute), but this method of pulse taking can acquire much more information than simply the rate and strength. How is Pulse Diagnosis used to diagnose? Position– the pulse is felt at 3 positions on the wrist, and each position is associated with a different organ in the body. They are summarized in the chart below. While feeling the pulse, we are looking at the quality of the pulse at each position, and thus the energetic state of each of those organs. While feeling, we will characterize the pulse position according to the other pulse qualities listed below. Depth– there are 3 positions the pulse can be felt at, superficial, middle, and deep. The depth of the pulse usually indicates the extent to which a disease has penetrated within the body. For example; if while the pulse at the lung position is felt only at the superficial level and not in the middle or deep, it will indicate the person has a cold or flu. Another example; if the pulse at the kidney position is only felt at the very deep levels by pressing down hard, this can indicate chronic back pain. The inflammation resulting in back pain cause dead blood cells to accumulate, resulting in a deep sunken pulse in the kidney pulse, since the muscles surrounding the lower back are next to the kidneys. Strength– pulse strength can be characterized as strong, medium, or weak. The strength refers to the force or amplitude at which the pulse hits the fingers. Ideally, a pulse should be strong, but not too strong. Strength usually indicates the level of functioning. For example, if the pulse at the stomach position is felt as very strong or pounding, it may indicate acid reflux. Another example, if the pulse of the left kidney position is weak and there is little force hitting the fingers, it may indicate weakened kidney function resulting in frequent or night urination. Width– the width of the pulse can be categorized as wide, normal, or thin. This is typically a factor of the dampness or water retention levels within the body. If there is increased water retention then it may press on the vessels causing the artery to feel thinner. It may also indicate a weakened energy, immune, or digestive system, decreasing the pressure to which the blood can flow through the artery, thus causing it to feel thin. Conversely, a wide pulse may be the result of a chronic pathogen. Wiry– the pulse feels like a guitar string, very tight, straight, long, with distinct borders. Typically this refers to irregular liver function, or a retained pathogen in the liver. Slippery– the blood is felt smoothly through the artery, almost as if small pearls were flowing through beneath your fingers. Typically indicating retained pathogens, phlegm congestion, or dampness retention. For example, a slippery pulse in the stomach position can indicate severe indigestion or a stomach flu. Typically, pregnant women will also have a slippery pulse, and depending on which hand the slippery pulse is felt will help determine the gender of the baby. Knotted- feels slow with irregular pauses. This may indicate a heart condition ,such as a murmur, which causes the irregularity in the heart rhythm. It may also indicate a physical blockage caused by blood stagnation, a mass, or a tumor. Surging– this pulse will appear very strong when it first hits your fingers (the systole), but will seem to leave very weak on the down beat (the diastole). Typically indicative of a loss of body fluids or blood caused by diarrhea, heavy menstruation, or heavy bleeding. Scattered– this pulse appears to have no borders and will easily become irregular once any pressure is applied. This usually indicates a longstanding, chronic condition. So as you can see, Chinese Pulse Diagnosis is a complex skill set. However, if employed properly will help yield even greater clinical results. We are able to more thoroughly recognize disease patterns apart from the symptoms. As an example, at the clinic one week we had three different patients who all came in for the treatment of asthma. From their symptoms of difficulty breathing, wheezing, chest oppression and lowered lung capacity, they all seemed like the same case. However, upon taking the pulse, each had a different cause, or associated dysfunction, for the asthma. Thus each was given a different acupuncture and herbal prescription to help.